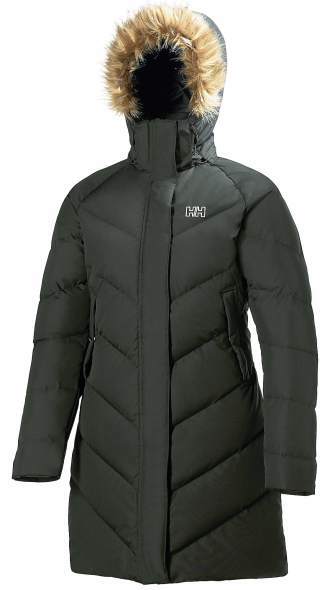 Arden Puffy Parka, Helly Hansen ($300). Dear, layers, I’m breaking up with you. No, really, I’m kind of over you. Sure, you’ve got that hipster swagger, and when I get the perfect solids-and-patterns mix, you can be really snazzy. But I’m trying to look effortlessly cool over here, and anyone who’s ever gotten dressed knows it took me 20 minutes to achieve those perfectly tiered sleeve lengths. So let’s be honest — sometimes I don’t want to spend 10 minutes planning a perfectly orchestrated ensemble. I’m sick of trying to figure out which base layer I should start with, deciding which second layer will be snug but not too tight. Selecting a third layer that’s comfortable, but not too sloppy, lest the damn poofy vest not snap up and the outer shell not zip. All to inevitably end up looking like a freshly stuffed summer sausage. Layers, we’ve had our share of good times, but I just can’t anymore. I just can’t. In light of our breakup, I’ve set out in search of the perfect stand-alone pieces, items that are burly enough to keep me warm, dry and comfortable. Just looking at this coat makes me warmer. The Arden Puffy Parka from Helly Hansen is fully insulated and filled with fluffy 550 European goose down to keep you warm and cozy all season long. The three-quarter length ups the warmth factor even further, allowing you to comfortably forgo the layers and throw this coat over a tank or T-shirt. The surprisingly lightweight coat is windproof, water resistant and breathable. The faux fur trim on the hood does more for looks than function, but you can cinch the hood tightly around your face for those super-cold Vail nights. To keep my lower half warm, I’m planning on going fireman style — staging these pants by my front door, where they’re ready for me to spring into them at a moment’s notice and bound out into the snowy wonderland. These Tundra Cargo pants by Canada Goose are part of the company’s Arctic Program, rated for temps as low as minus 13. The pants, made for men and women, have an adjustable waistband, perfect for those gluttonous apres-ski afternoons that spill into late-night shenanigans. Plenty of pockets, reinforced knees and seat and removable suspenders make these ideal for snowmobiling, tubing or epic snowball fights. Stop by Gorsuch in Keystone to check out the Canada Goose line. Keeping my toes warm is an easy task for the Glacier XT Boot by Sorel. Thanks to the new Omni-Heat lining, these classics are warmer than ever, even in the most extreme conditions. The lower lacing makes them easy to slip on and off, perfect for 5 a.m. sunrise voyages. The hefty grip makes them safe on snow and ice, and the black with red accents keeps them matching my outfit. Check them out at Christy Sports in Avon. For the fellas, the Nano Air Hoody is the jam. The masterminds at Patagonia have created FullRange Insulation, a new technology that is warm, breathable and stretchy. You’ll be able to wear this stylish piece from the Moose Jaw, up Mount Royal and back again. Water resistant and tough on the outside, plush and snuggly on the inside, just like you. Head to the Patagonia store in Vail or Beaver Creek to check them out. They aren’t called Endurance for nothing. The Endurance Boot by Baffin is the ultimate in defense against cold weather. Just look at those beasts! The rugged soles and rubber toe will keep you high and dry. The Velcro allows for a snug fit, and the draw cord at the top keeps the snow out. There’s even a built-in gaiter for deep powder days. The side pocket lets you stash your stash, and the carabiner attachment allows you to tether to anything you see fit. Learn more at http://www.baffin.com.